Miranda Dental Centre - Sydney « Dentist Miranda, Sydney as dental surgery, dental implants, orthodontics, Snoring problem, clear braces, and cosmetic dentistry prevention in Kingsway. Miranda Dental Centre In services amazing smiles provide open 6 days a week. Snoring problem, dental implants in miranda, orthodontics in miranda, clear braces in miranda. Snoring Problem Treatment is not physically harmful to the person who snores, but it is highly irritating to anyone kept awake by the noise. But snoring problem may also be a symptom of significant sleep-disordered breathing or obstructive sleep apnoea. Obstructive sleep apnoea can be harmful to health and may ultimately lead to life-threatening conditions due to breathing being repeatedly interrupted during sleep. Miranda Dental Care Centre in Miranda Amazing Smiles provide Open 6 days a week. Dr Abhay Kohli is a Cosmetic dentistry in Sutherland Shire, providing treatments such as clear braces In miranda, Dental implant miranda and orthodontics in miranda. We’ll help you get the brightest smile possible. Snoring problem is not physically harmful to the person who snores, but it is highly irritating to anyone kept awake by the noise. But snoring may also be a symptom of significant sleep-disordered breathing or obstructive sleep apnoea. Obstructive sleep apnoea can be harmful to health and may ultimately lead to life-threatening conditions due to breathing being repeatedly interrupted during sleep. MIRANDA DENTAL CENTRE is a private practice located inside Miranda Medical Centre. One of the things we hope to do is to enable you to “smile with confidence and comfort”. Your smile is the first thing those around you notice, and one of our goals is to help you feel comfortable and confident with your smile. At Miranda dental clinic we partner with our patients to help them achieve and maintain a lifetime of excellent oral health. At Miranda Dental Centre, we partner with our patients to help them achieve and maintain a lifetime of excellent oral health. We provide the best and latest in dental technology and strive to utilize the newest technology to service patients. We provide gentle, family-oriented dental care to the adults and children. We utilize the best equipment sterilization techniques available to dentists. Our team emphasizes comprehensive quality care and preventive dentistry. Following are some technologies we use in our clinics. We work for a world full of smiles! Thousands of patients have come from all around the globe to get their dental treatment with our experts! Dr. Abhay Kohli has a warm, caring and gentle approach to put even anxious patients at ease. He is a focused and dedicated dentist who takes dentistry as his passion and always shows duty of care towards his patients. Our surgery is fully equipped with the latest technology and devices. 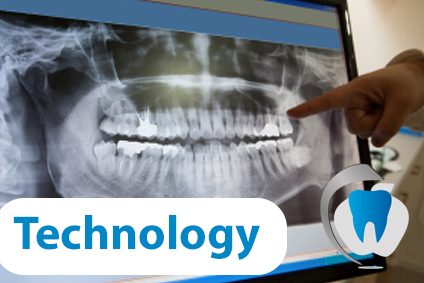 Cutting-edge technology at Miranda Dental Centre includes digital x-rays, intra-oral cameras, dental lasers for in-chair whitening procedures. Our facility is continually advancing as our dentists frequently attend and participate in continuing educations courses and seminars across the country. I grew up in Southwest Sydney and after completing a Science Degree at the University of New South Wales I obtained my Bachelor of Dentistry Degree from the University of Sydney. I currently reside in the Shire and love the location and people. We are dedicated to providing our patients with highest quality of dental care designed to restore, enhance, and maintain you the beauty of your smile. Our experienced dentists adhere to the highest professional standards to provide exemplary service in all aspects of cosmetic, periodontics, orthodontic, restorative, sleep medicine, and general dentistry. We take pride in our state-of-the-art facility, where many advanced procedures can be performed safely and comfortably. Our practice conveniently is situated near a unique blend of dedicated health professionals, who all service your healthcare needs in the one convenient location. Please explore our website to learn more about how we can help you with your dental health needs. To Book an appointment, contact us on 02 9525 9081 during our working hours or on Medical Centre’s number 02 9540 1044 from 8 am till 10 pm.